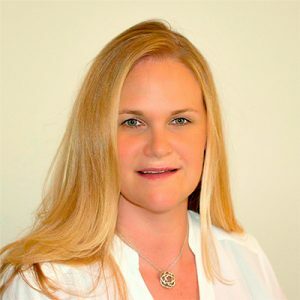 Lisa Juliet currently holds an MBA from the University of Nevada with an emphasis on Finance and Management. Ms. Juliet has owned a successful Barre and Ballet studio since 2009 and is the founder of Ballerobica, the first international, online Barre Certification created for dancers. She is also the creative force behind organizing and bringing the IBBFA Barre Certification Program and team to the public. She holds certifications in Ballerobica, ACE Group Fitness, Kickboxing, Step Aerobics, IBBFA Barre Certification, as well as ABT® Teacher Training Intensive in Primary through Level Three of the ABT® National Training CurriculumAmerican Ballet Theater in New York City. 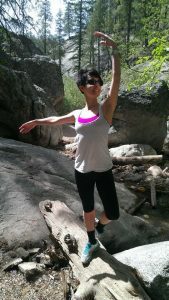 She has been teaching group fitness for 19 years and teaching classical ballet for 22 years. Prior to IBBFA, Ms. Juliet worked as a research scientist in preclinical and clinical studies conducted for the FDA (Food and Drug Administration). Her background in Biochemistry and her love of science still shows in her work today with IBBFA, by only presenting the highest quality data and research to IBBFA trainees. Peter Perepel currently holds a BA in Psychology and Engineering from Arizona State University. 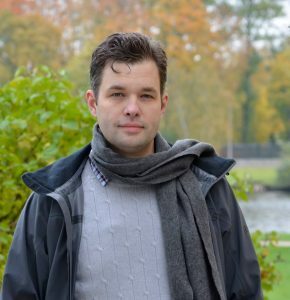 Mr. Perepel is a highly accomplished and experienced Marketing Professional with a strong background in Customer Relations, Information Technologies, and Human Resource management. He has worked for and launched multiple start-up companies globally and is proficient in international business. Mr. Perepel presently resides in Boston, MA where he works tirelessly to bring IBBFA Barre Certification to an International market! Dr. Andrea Alden currently holds a PhD in English and is a Professor at the College of Humanities and Social Sciences, at Grand Canyon University. Dr. Alden holds certifications in Ballerobica, ACE Group Fitness, IBBFA Barre Certification, as well as ABT® Teacher Training Intensive in Primary through Level Five of the ABT® National Training CurriculumAmerican Ballet Theater in New York City. She has been teaching Barre since 2011 and is one of the founders of IBBFA Barre Certification. Dr. Hallie Edmonds currently holds a PhD in evolutionary anthropology and biomechanics and is a Postdoctoral Research Associate, Center for Evolution and Medicine, Arizona State University, Tempe, AZ. Dr. Edmonds trained at Academy of Ballet in Tucson, AZ; was a Company member of Tucson Regional Ballet for 6 seasons; and was a Company member for Treeline Dance, Phoenix AZ. Additionally Dr. Edmonds is a Certified Pilates instructor, IBBFA Master Barre Instructor, and an IBBFA Teacher Trainer. She is one of the founders of IBBFA Barre Certification and has helped to bring IBBFA’s extensive curriculum to an online format. Tamara Huth is a Registered Nurse and the Director of East Valley Ballet Academy in Mesa, AZ. Mrs. Huth was an apprentice with Ballet Arizona under the direction of Jean Paul Comelin. 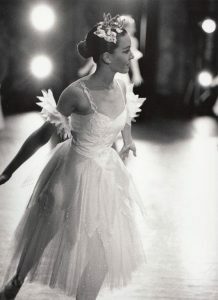 At sixteen, she moved to New York City to study at Balanchine’s School of American Ballet on full scholarship. In 1991, Mrs. Huth joined American Ballet Theatre (ABT) in New York City, and retired form the company in 2001. While she was at ABT, she performed roles in all the company’s full-length classic ballets. In addition, she performed a variety of classical, contemporary, and modern works by choreographers such as Anthony Tudor, Martha Graham, Paul Taylor, Mark Morris, and George Balanchine. During her ten-year career with ABT, she had the opportunity to personally work with Natalia Makarova, Twyla Tharp, Lar Lubovitvh, Agnes de Mille, and Frederic Franklin, among others. Mrs. Huth is an ABT® Certified Teacher, who has successfully completed the ABT® Teacher Training Intensive in Primary through Level Five of the ABT® National Training Curriculum. For the past five years, she has been selected to teach ABT’s summer intensive audition classes for aspiring dancers around the world! Dr. Melanie D Fox, DO, is a Pathology specialist. She attended and graduated from Michigan State University College Of Osteopathic Medicine in 2008. Dr. Fox served as Chief Fellow in Surgical Pathology at the University of Texas, MD Anderson Cancer Center in 2014 before relocating to Jacksonville, FL. She is affiliated with many hospitals including Baptist Medical Center Beaches, Baptist Medical Center - Nassau, Baptist Medical Center. Dr. Melanie D Fox also cooperates with other doctors and physicians in medical groups including Southeastern Pathology Associates Pc. Doctor Fox has been awarded more than 7 times for outstanding work in Pathology field! Dr. Steven Russell, M.D., currently serves as the Health Services and Medical Director at Wheat Ridge Regional Center, supervising Nursing, Mid-level Providers, Dietary, Physical/Occupational/Speech Therapies, Dental and Pharmacy services, and the as Assistant Clinical Professor in the Department of Family Medicine and Foundations of Medicine Program, University of Colorado Health Sciences Center, School of Medicine. 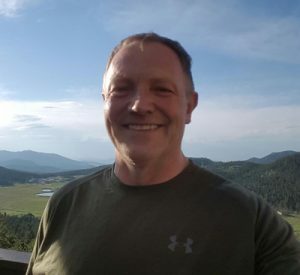 He is also Adjunct Professor in the Physician Assistant Program, Red Rocks Community College; and is a member of the Colorado Medicaid Pharmacy and Therapeutics Committee and serves as Preceptor with Simmons College of Nursing. Over the past few decades Dr. Russell has acquired his Group Fitness and personal training certifications through ACE, multiple Zumba certifications, as well as completed all certifications that IBBFA has to offer! You can find him teaching barre and Zumba regularly in his community!